It’s time for a rambling, stream of consciousness edition of The PopCulteer. Your loyal correspondent has just come off two consecutive extremely fun road trips, but walked right into a buzzsaw of paying work as soon as he returned, so that’s why you haven’t seen any coverage of those here yet. 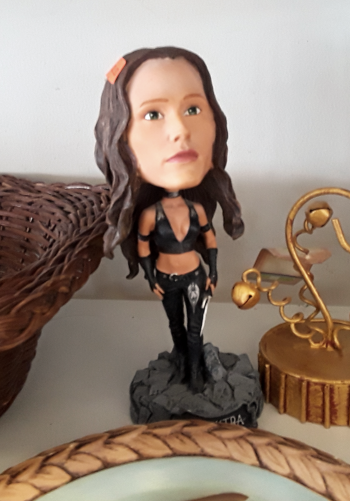 This week’s images will attempt to relate to what I’m writing, except for the photo at right, which is a Jennifer Garner bobblehead, spotted at Goodwill. The plan is that next week I will tell you all about The Marx Toy Convention, my trip to Pigeon Forge and a giant bookstore in Knoxville, and the final official GI Joe Convention here in PopCult. 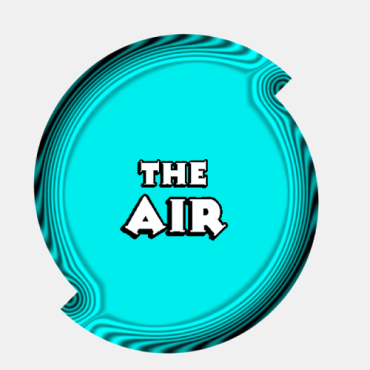 Also next week, on the second anniversary of The AIR becoming our sister internet station, The AIR will see its schedule shook up a bit, with some shows going on hiatus, new ones coming in, and many shows moving to new days and times. I’ll also tell you about that later in this column, with more details next week. Today I need to acknowledge that, once again, June has nearly wrapped up and I have not found the time to interview my friend Emily Haynes about what it’s like to live with a serious case of Myasthenia Gravis. This is on me and the insane schedule I made for myself this month. Eventually, I will rectify this. 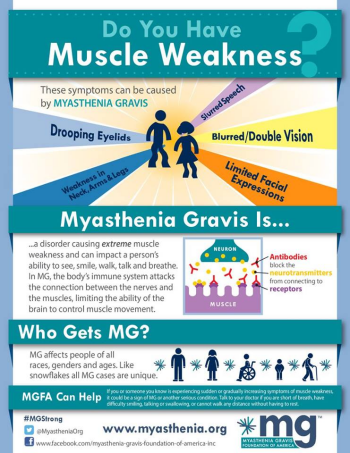 June is Myasthenia Gravis awareness month, and yours truly has this particular auto-immune disorder, but my case is so mild that I feel I can’t really write about it authoritatively. However, I am still learning, and one thing that I’ve been noticing over the last few months is how much the heat affects me. With a pretty ominous-looking heatwave looming this weekend, I find that I’m adjusting my schedule to avoid outdoor activities–more so than usual. I was planning to take in “Paradise Park” for one of its final two performances this weekend, but I really don’t think I can handle the heat. I’m also looking forward to seeing The Cherry Poppin’ Daddies at Live on the Levee later in July, but if it’s over 80 degrees that evening, I’m going to have to skip it. On my recent travels I had the luxury of being able to go from one air-conditioned environment to another, without being stuck out in the heat too long. The issue is not how I feel when I’m out in the heat. It’s how sick it makes me feel later. Since I was diagnosed with Myasthenia Gravis, I have been very lucky not to have had a day where I don’t feel like getting out of bed…until I tried doing work in my yard recently. The next day I was in full-on zombie mode. It was not a good feeling, and I intend to avoid that as much as possible. Aside from that, things are going quite well in the lives of Mr. and Mrs. PopCulteer. If it seems like we’re not getting out as much as we used to, it’s because of the heat. It’s nothing personal. On the topic of great things you can do that I have to skip because they’re outdoors, Rubber Soul will be performing a Court Street Concert at the mall today at 5 PM. They’ll be taking requests for your favorite Beatles tunes starting at 4 PM. Details are HERE. There were a couple of passages this week that need to be noted. 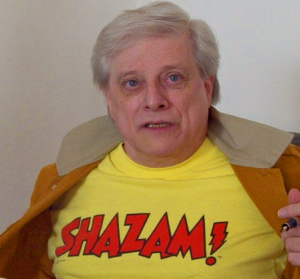 Harlan Ellison, noted writer and critic and larger-than-life personality (seen right), died peacefully in his sleep yesterday morning at the age of 84. The favorite writer for many people while in their teens, Ellison achieved legendary status in Speculative Fiction and Criticism. His influence extends to many of my favorite writers. Our sincerest condolences go out to his family and many, many friends and fans. 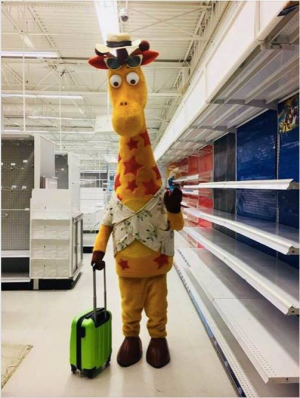 I know that this is a huge blow to a lot of fine people. Ellison’s behavior was not always admirable, and much of his work does not age well when you read it later in life, but if it grabs you at the sweet spot, just while you’re attaining maturity, it will stay with you forever. 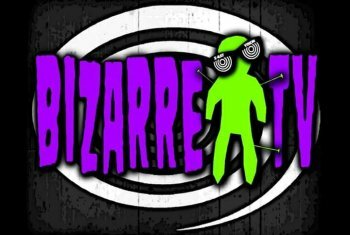 We lost Bizarre TV this week. I told you about the passing of Mistress Rhonda last January. The Roku Channel she ran single-handedly, had been on autopilot since last October, and sometime late last weekend the channel finally ceased to exist. It’s not known if it was her server being taken down, or some other contract running out, but we did know this day was coming. Sometime in the next month PopCult will run a guide to Roku channels that come close to carrying on the Bizarre TV legacy. You may have noticed the new header image here at PopCult. It’s one I put together over two years ago, and just this week I realized that I’ve had the ability to change it myself for over a year now. I feel it’s a better representation of what I write here, but I’m probably going to switch it out again at the end of August. I didn’t realize how much the text would cover up the image, and hide Betty Page and The Batmobile in the process. One of the changes on The AIR next week is that we will begin featuring “Summer Monday Marathons” every Monday, for 24 hours beginning at 7 AM, we will program a marathon of one of our musical programs. This is a fun way to let new listeners sample our shows, and it allows me to skate through the weekend without having to record a new episode of Prognosis, which I am still hosting while Herman Linte is otherwise occupied. Prognosis will be moving to Thursdays at 3 PM, and Radio Free Charleston International will move to Fridays at 1 PM, as the lead-in to Sydney’s Big Electric Cat. We’ll unveil other programming changes on Monday. And that is going to wrap up this unplanned and disorganized PopCulteer. Check back for our regular features, and stay out of the heat. I under the heat index this weekend will approach 415 degrees.